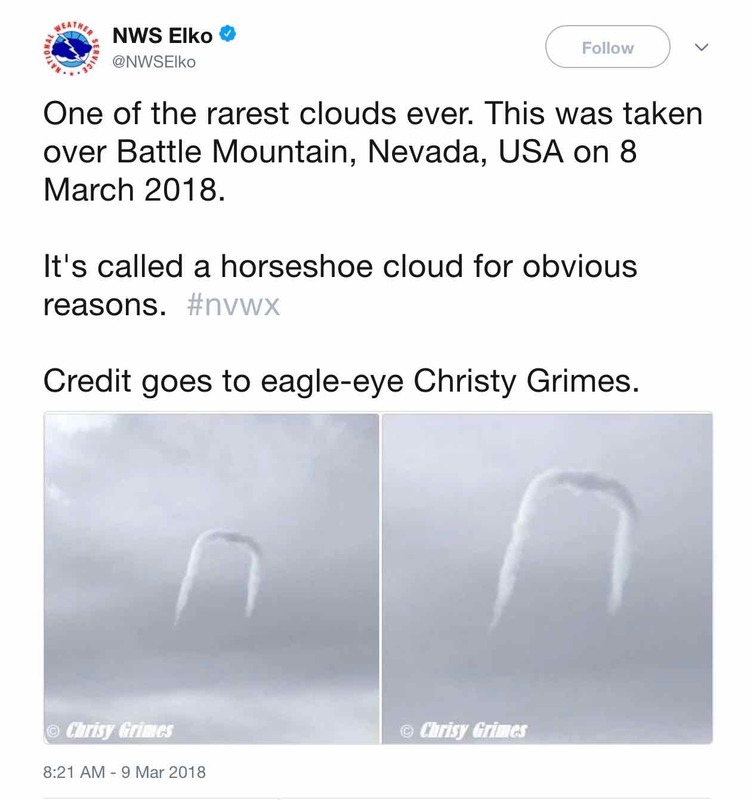 Nature houses many inexplicable events, one of the latest, a horseshoe cloud over Battle Mountain, Nevada. The incredible rarity was posted on Twitter. Very interesting to say the least, what say you?